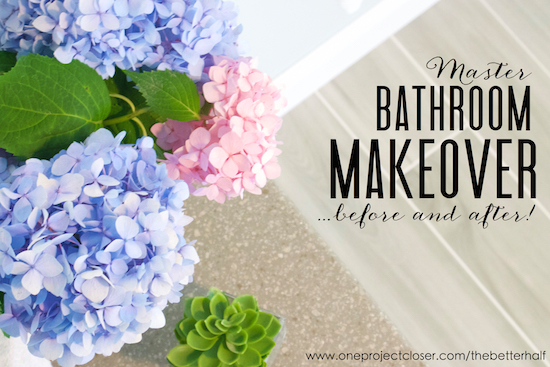 Master Bath Remodel: The Big Reveal! While this was a lesser remodel in the grand scheme of things, it still took us awhile with busy weekends and working around schedules. That being said, Ethan worked really hard, especially on the floor. 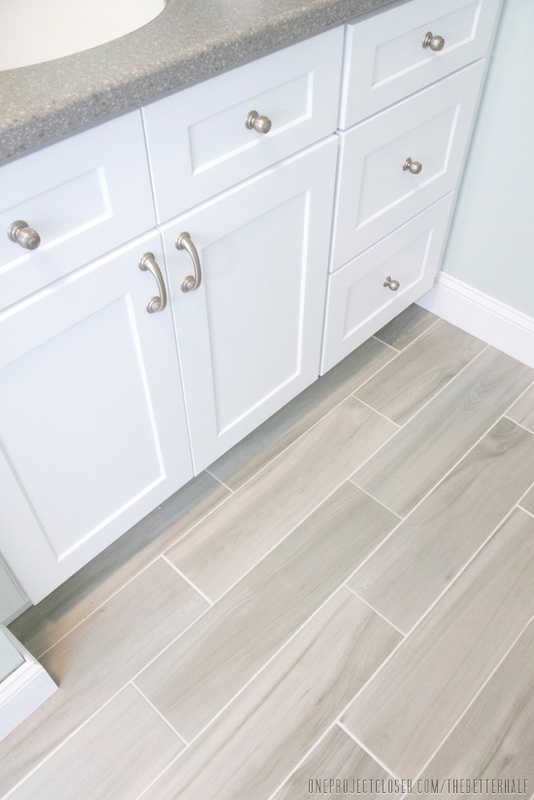 We started with basic white tile, which Ethan ripped out, then leveled the sub floor, laid heating element from Step WarmFloors (love love this) and finally he laid our new gray faux wood tile. SWOON! It looks soooo amazing! Oh, he also ripped out the old, builder-grade baseboard and replaced it with taller baseboard. I couldn’t believe what a big difference that makes. Also, while Ethan worked on the sub-floor, I painted the walls using Sea Salt by Sherwin Williams. In some light it looks very green, but I love that its a peaceful blue/gray/green for our spa-like master bath remodel! The original cabinet and countertop, while not in awful condition, needed updating! We shopped cabinets a bit and ended up buying a Ready-to-assemble cabinet online – it was significant savings but the instructions for assembly were pretty terrible. Fortunately, they turned out great and seem to be very durable and well made. As for the countertop, we got mixed material from Home Depot. It was a decent price and the installation was perfect, but it took way longer than anticipated to come in once we placed our order. 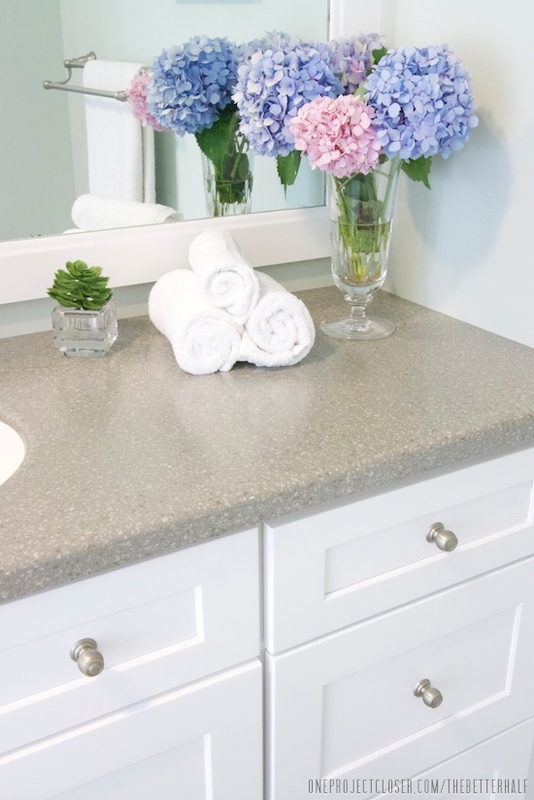 Moen was kind enough to send us all the hardware for the bathroom, and while I know the trendy color is the bonze look, I love the softer brushed nickel in our spa-like master bath remodel. 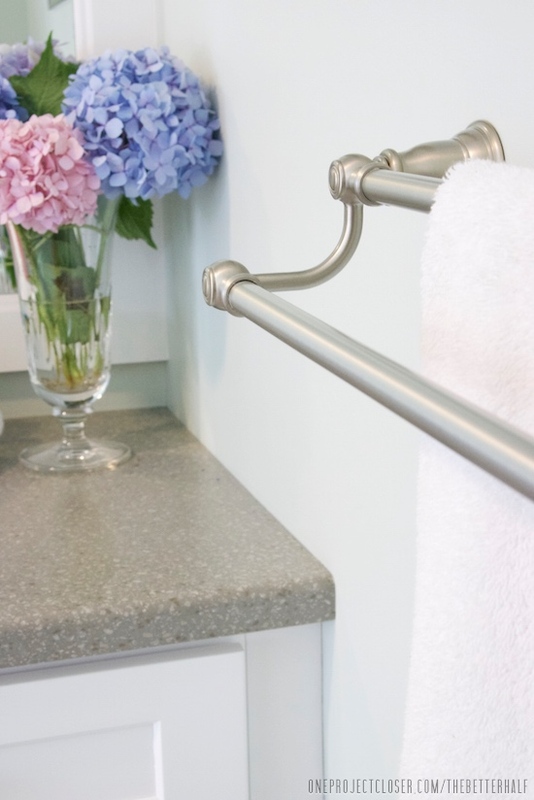 While most fixtures are created equal, the double towel bar and the toilet paper holder really are amazing!! Seriously, I didn’t know double towel bars existed. And the toilet paper holder is spring-less and lifts easily on one side to replace the toilet paper. Its genius. The final touch our master bath remodel was our mirror. 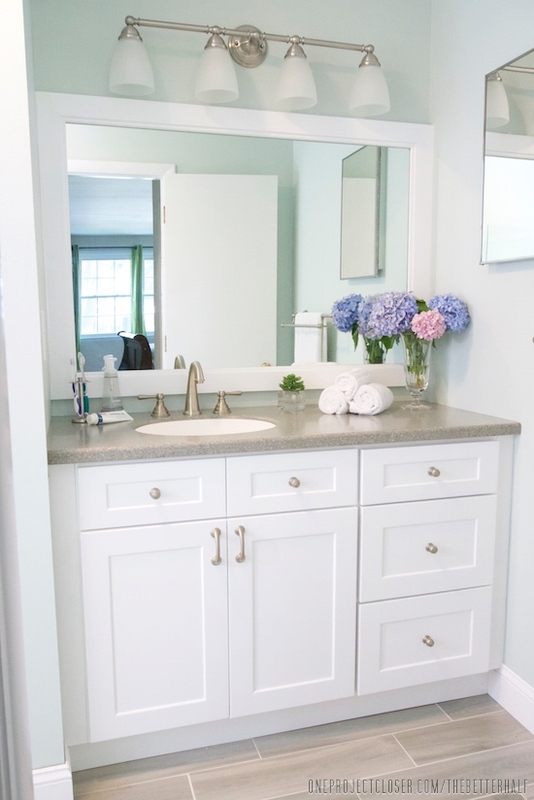 The original was a basic mirror that went wall to wall, and while functional are eroded on the back and with the taller cabinet bumped into the base of the beautiful new light fixture. So my dad came over with a glass cutting tool and cut off about 6 inches from the top. Then, Ethan framed it out with some trim and glued it to the mirror. A big thanks to The DIY Village for their tips on framing a bathroom mirror. BTW, I love the vintage lettering on the knobs of the Kingsley faucet – how cute is that?!? Also, a special thanks to my neighbor, Tineka for the beautiful flowers from her garden! Ethan likes to say this is phase one of our remodel! haha In the future, we hope to knock down the upper part of the mini wall that sits up against the left of the sink and also replace the shower. But all that for another day. 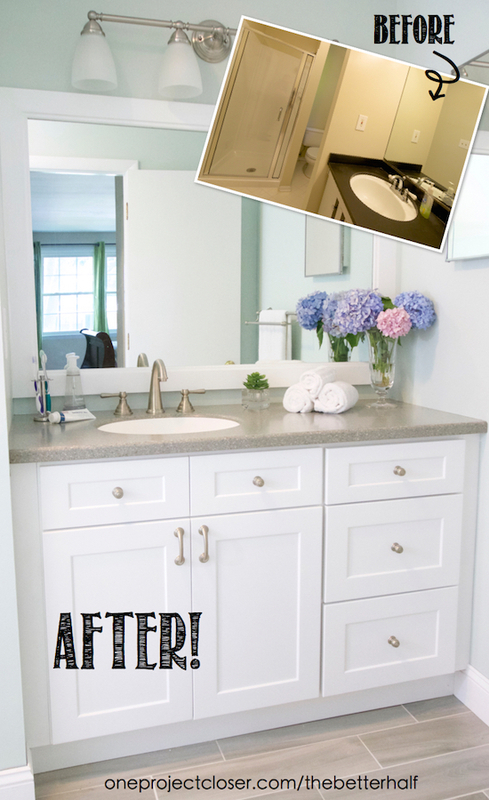 For now, I am loving our master bath remodel before and after! What do you think? 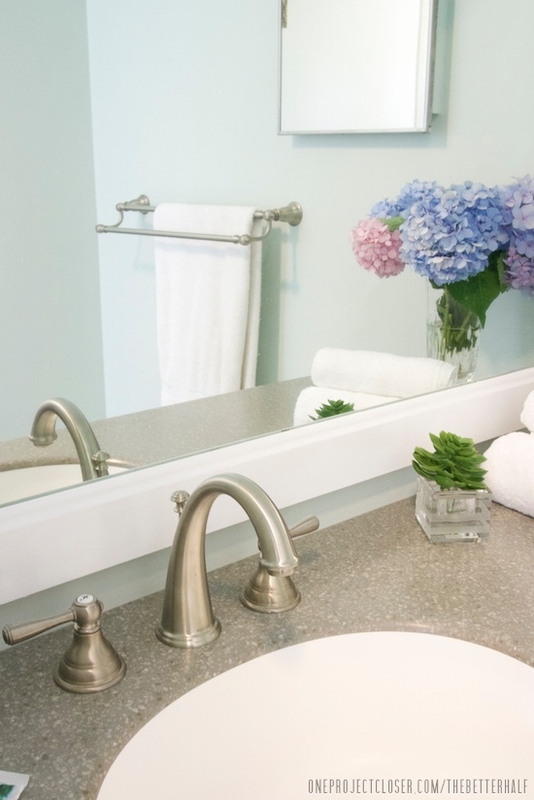 What are your tips for a master bath remodel on a budget? What trends do you love? Disclaimer: Moen and Step WarmFloors provided materials for this master bath remodel before and after in exchange for review. All opinions are my own. Don’t forget to check us out on Facebook, Pinterest, and Instagram! 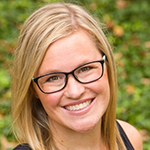 Your revamp is GORGEOUS – I absolutely love the transformation! thanks so much amy! we really love it too and i can’t wait for the cold weather to come so I can enjoy my floors! Oh my word! What a huge change! Its stunning! LOVE, LOVE, LOVE, this makeover! Wow! Okay now you guys need to come to TN and help us out with our Master Bathroom! Love the faucet, we have the same one for our Bathtub! I love the faucet too! the cute little calligraphy letters are to die for! and yes, TN sounds like a plan! BEAUTIFUL!!!!! It’s so amazing how much you’ve transformed the place! Gorgeous! Love the gray faux wood tiles … I’ve had my eye on those for a while 🙂 Everything is so light and fresh … I’ll grab a pillow and we can have a sleepover in there, ha ha! Where did you get your floors?